The map shows the proportion of the working-age population claiming an out-of-work benefit* across London in November 2016. The boroughs of North East and East of London contain the highest concentration of wards with more than 10% of people claiming out-of-work benefits. 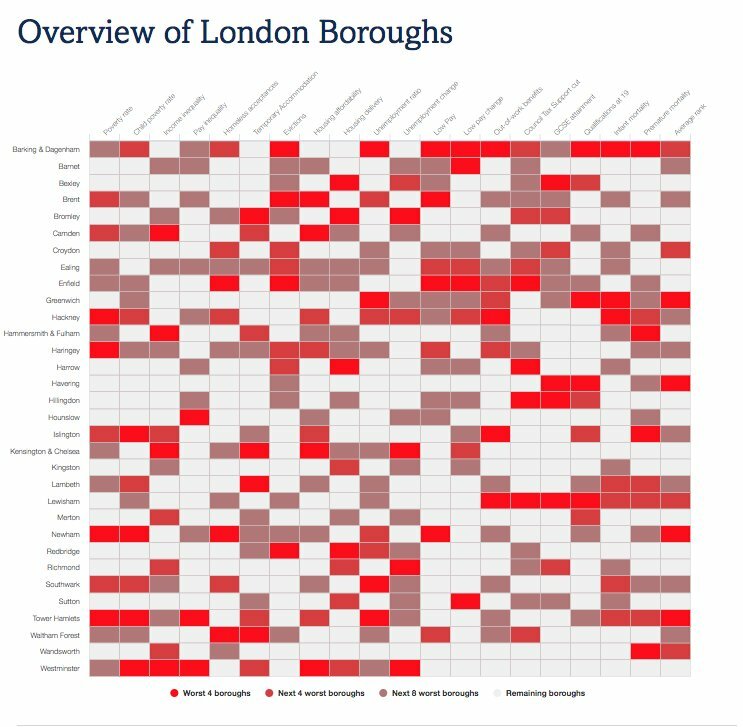 Most boroughs have a mixture of areas with larger or smaller proportions of people claiming an out-of-work benefit. Hackney, Islington and Barking & Dagenham only have a few areas where less than 10% of the working-age population are claiming an out-of-work benefit. Some boroughs such as Barnet, Harrow, Hounslow, Kingston, Richmond, Merton and Sutton contain no areas where more than 10% of the working-age population are claiming an out-of-work benefit. These are all Outer London boroughs. * This does not include Universal Credit. 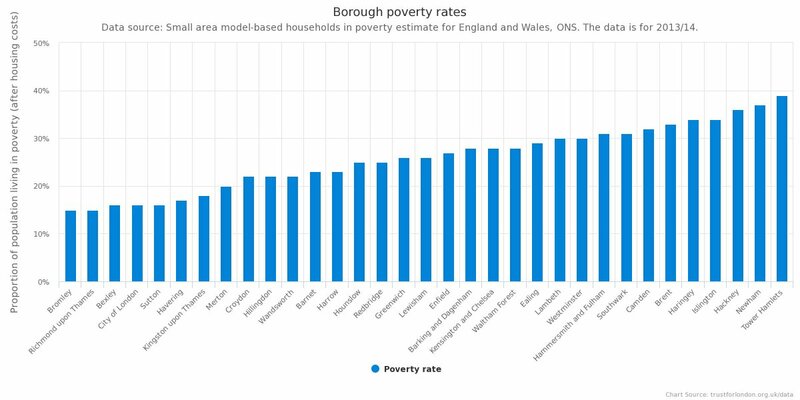 UC is not being rolled out evenly across London which means some areas may have a higher proportion of people who are claiming an out-of-work benefit than is shown in the graph. *** Knightsbridge and Belgravia in Westminster.